After months of movie screenings and weeks of rampant speculation, we finally know the eight movies that will contend for Best Picture at the 91st Academy Awards®. Naturally, this means that we also know the films that will be part of the annual AMC Best Picture Showcase — more details on that anticipated event in a moment, but first, the list of Best Picture nominees, which comes with more than a few surprises. 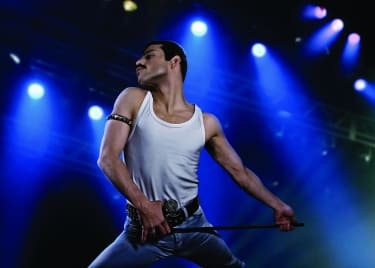 While the Academy reserves the right to nominate 10 movies in the Best Picture slot, it chose to go with eight movies for the 2019 field. They are: BLACK PANTHER, BLACKKKLANSMAN, BOHEMIAN RHAPSODY, THE FAVOURITE, GREEN BOOK, ROMA, A STAR IS BORN and VICE. 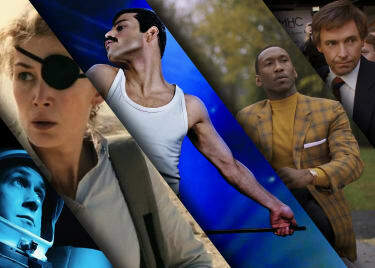 It’s a fascinating crop of movies that can be described as “expected to be nominated,” while also noting that a number of movies — from FIRST MAN to IF BEALE STREET COULD TALK — missed out on the chance to contend for the evening’s biggest prize. 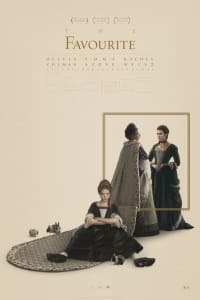 Alfonso Cuarón’s ROMA and the period comedy THE FAVOURITE both tied for the most amount of nominations, with 10 apiece. Both movies landed in the Best Director category, where Cuarón and Yorgos Lanthimos will compete against Pawel Pawlikowski (COLD WAR), Spike Lee (BLACKKKLANSMAN) and Adam McKay (VICE). 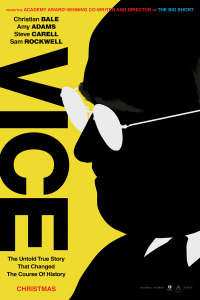 Noticeably absent from the Best Director category? 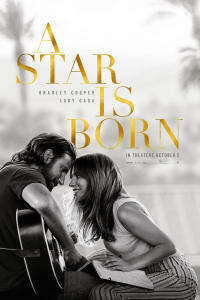 Bradley Cooper for A STAR IS BORN, though he and his co-star, Lady Gaga, did get into the Best Actor and Best Actress races, respectively. The remake of A STAR IS BORN landed six total nominations, including Best Supporting Actor (Sam Elliott), Best Adapted Screenplay and Best Cinematography. It was a very big morning for superhero blockbusters, as BLACK PANTHER became the first superhero movie to land a Best Picture nomination. In addition, AVENGERS: INFINITY WAR picked up a nom for Visual Effects, while SPIDER-MAN: INTO THE SPIDER-VERSE and INCREDIBLES 2 both earned Animation nominations. 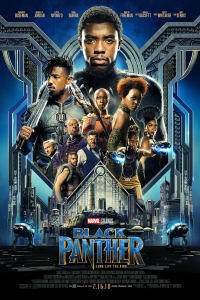 Marvel Studios has to be overjoyed at the reaction from the Academy to BLACK PANTHER, as Ryan Coogler’s comic book film picked up seven Oscar® nominations. Bringing it back to theatres for the AMC Best Picture Showcase will give Marvel fans the opportunity to again enjoy the visual effects and sound on the big screen, where Wakanda truly shines. 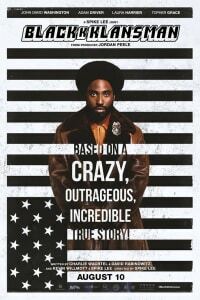 One could make an argument that Spike Lee’s BLACKKKLANSMAN is the current Best Picture frontrunner, even though it did not get the most nominations. Usually, Director and Picture go hand in hand, and Lee is one of the four Director nominees to have their movie in the Picture race. But it also has nominations in the Adapted Screenplay and Best Film Editing categories — and there is a long-standing theory among Oscar pundits that a film cannot win Best Picture if it doesn’t also win Best Editing. Naturally, that has happened before, but an Editing trophy usually helps a film’s Best Picture chances. 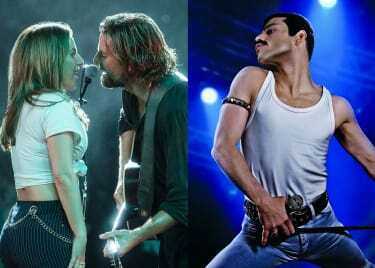 Finally, the Best Picture race seems to have found room for crowd pleasers this year, with box-office sensations BLACK PANTHER, BOHEMIAN RHAPSODY and A STAR IS BORN all contending for the top prize. If the argument in recent years has become that ratings for the Oscars telecast is down because the Academy nominates movies that people don’t see, that will not be the case this year. 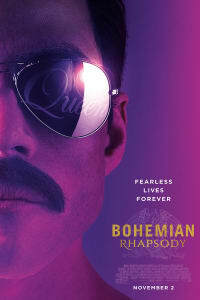 BLACK PANTHER banked $1.3 billion at the global box office and has a passionate fanbase, while the music-driven BOHEMIAN RHAPSODY and A STAR IS BORN bring both memorable songs and star power to the telecast. Heck, we think people will tune in to the Oscars just to see Bradley Cooper and Lady Gaga perform “Shallow” together live. That will be a showstopper. 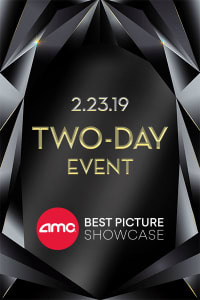 While you wait for the Academy Awards on Sunday, February 24, catch up on the Best Picture nominees as they screen during the annual AMC Best Picture Showcase. Attend our two-day event on Saturday, February 16 and Saturday, February 23 — or our 24-hour marathon on Saturday, February 23 at select AMC theatres. Check out the full schedule below. Additionally, AMC Best Picture Showcase attendees will receive exclusive event giveaways, and AMC Stubs® A-List and Premiere members will get $5 Bonus Bucks each weekend (or $10 for the marathon event). Find a participating AMC theatre near you and get your tickets to the annual AMC Best Picture Showcase before you tune into the Oscars on Sunday, February 24. Outside food and beverage is not allowed for this event. Limited seating. No passes, discounts or AMC Stubs A‑List reservations. Best Picture Showcase features nominated films that played at AMC during their theatrical run. AMC Stubs A-List & Premiere members who purchase tickets for a Best Picture Showcase event 48 hours prior to the event at select locations will qualify for Bonus Bucks. Offer is valid only for specific event dates/showtimes (Saturday, February 16 and Saturday, February 23). Bonus Bucks will be issued the morning of each event and valid 24 hours. A qualifying purchase must include a paid purchase of ticket(s) for a Best Picture Showcase and have the member's AMC Stubs account # associated with the transaction. AMC Stubs A-List & Premiere members may earn up to a total maximum of four $5 Bonus Bucks per day event or four $10 Bonus Bucks per marathon. AMC associates are not eligible to participate in this Bonus Point promotion.